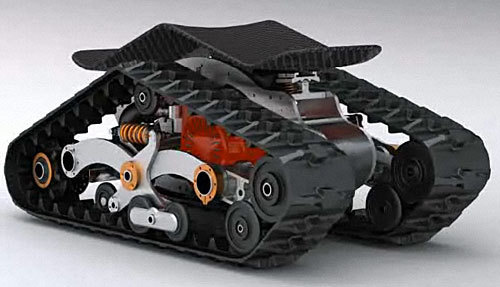 This is the DTV Shredder, a militarized skateboard with two caterpillar tracks. It can travel at over 30mph, go up 40-degree slopes, turn around in four feet, and be remotely operated. It’s also quite spectacular in action.